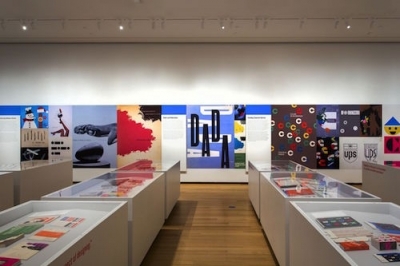 Everything Is Design: The Work of Paul Rand featured more than 200 advertisements, posters, corporate brochures, and books by this master of American design. 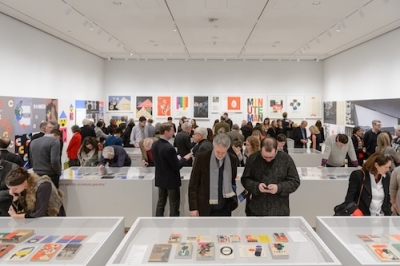 It was Rand who most creatively brought European avant-garde art movements such as Cubism and Constructivism to graphic design in the United States. 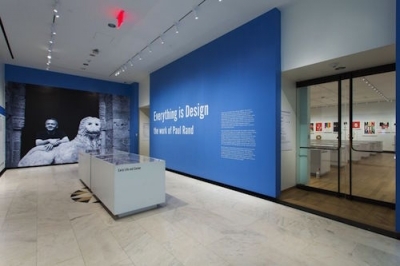 His philosophy, as expressed in his work and writings, including the recently republished 1947 Thoughts on Design, argued that visual language should integrate form and function. 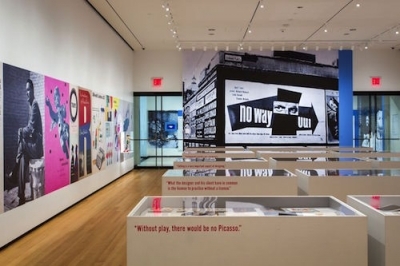 Born in Brooklyn in humble circumstances, Rand (1914-1996) launched his career in the 1930s with magazine cover design and, starting in the early 1940s, he worked as an art director on Madison Avenue, where he helped revolutionize the advertising profession. 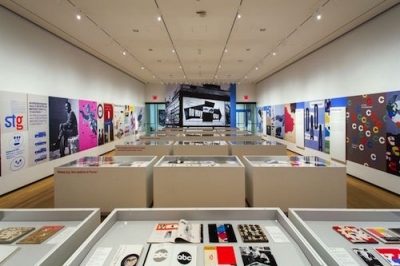 He later served as design consultant to leading corporations like IBM, ABC, UPS, and Steve Jobs’s NeXT, for whom he conceived comprehensive visual communications systems, ranging from packaging to building signage, all grounded in recognizable logos, many of which are still in use today. Rand’s influence was extended by students he taught at Yale University. 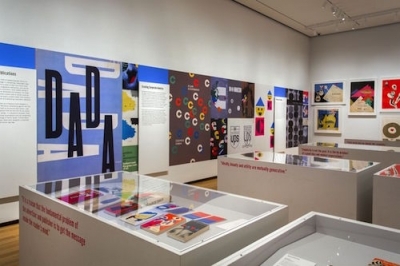 His visually stimulating, yet problem-solving, approach to graphic design attracted devoted admirers during his own lifetime and he remains influential today. Mr. Albrecht developed the themes of the show, selected all artifacts, wrote exhibition text, and assembled the design team.